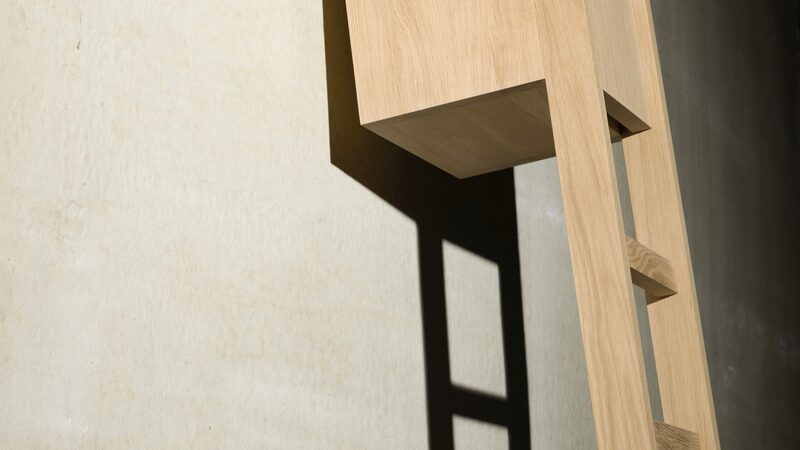 Casimir gives ordinary objects and archetypal designs a new interpretation and extends their functions. 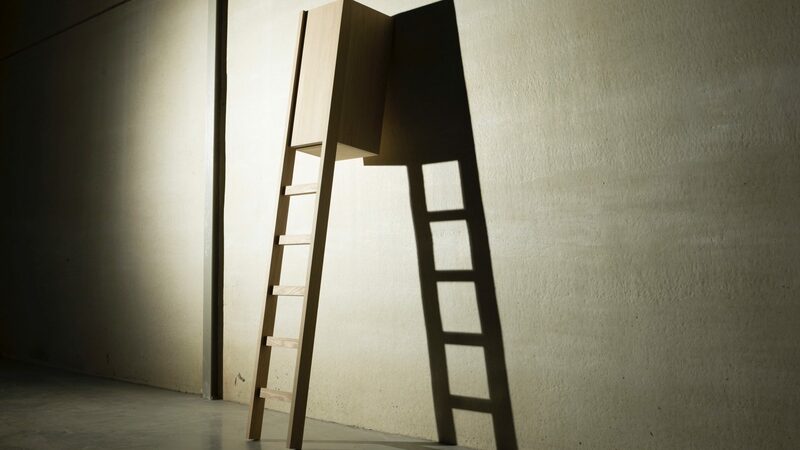 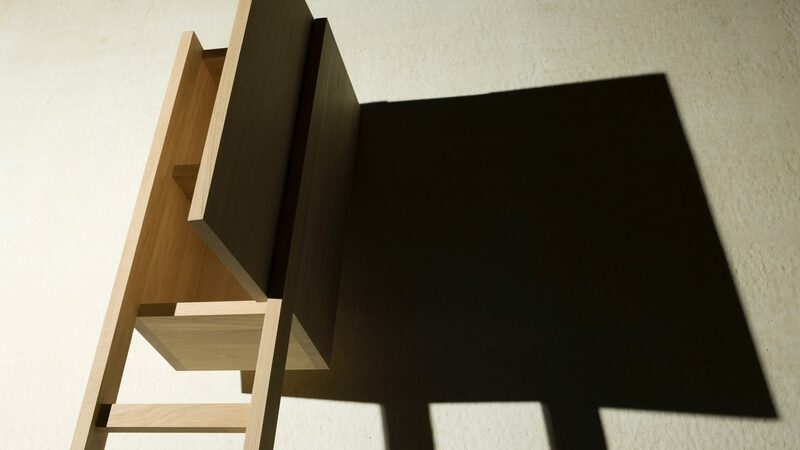 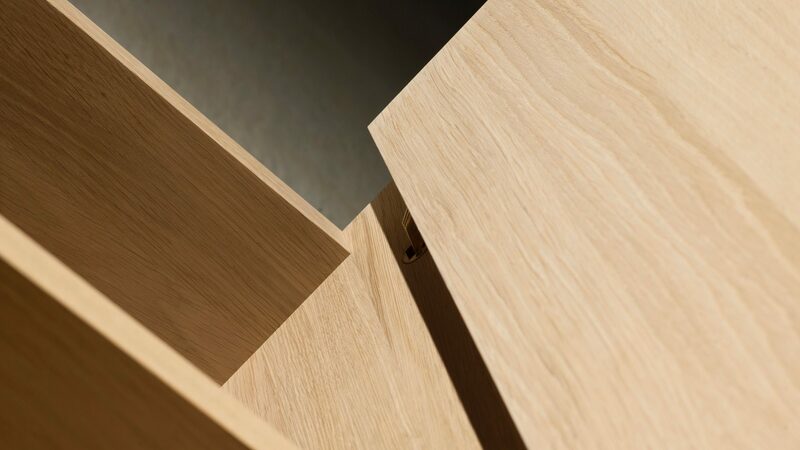 'LadderChest' combines the function of a portable set of steps with the function of a storage unit. 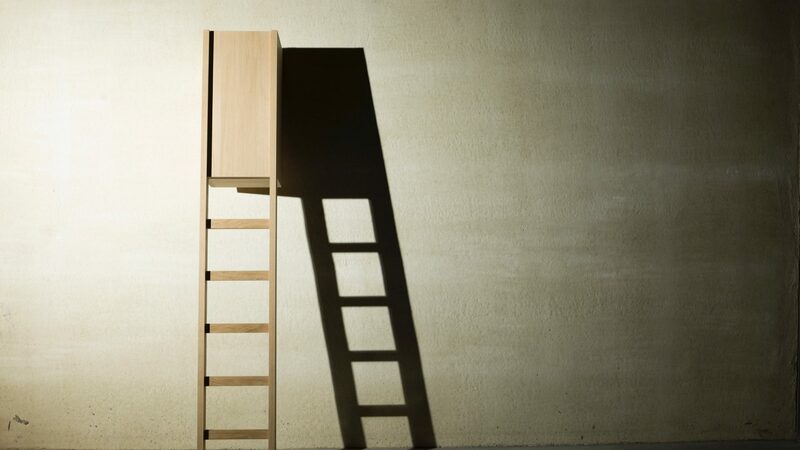 The two uppermost rungs of the ladder have been transformed into a cupboard with shelves of unequal sizes. 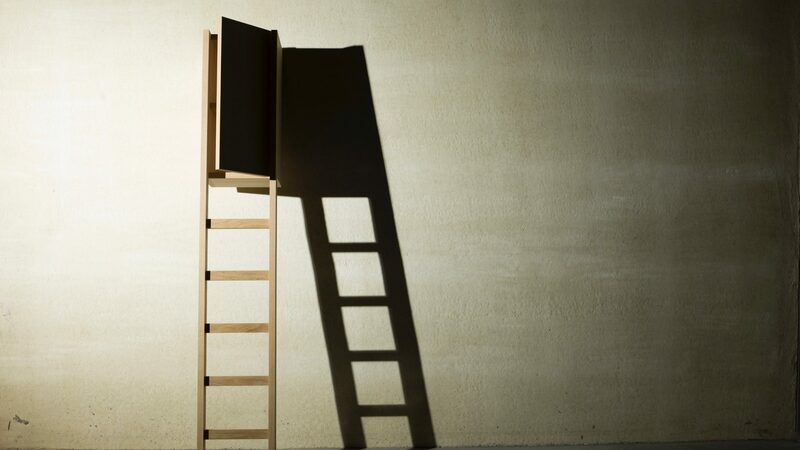 By placing the storage units on the top of the ladder, the ladder leans against the wall with great stability. 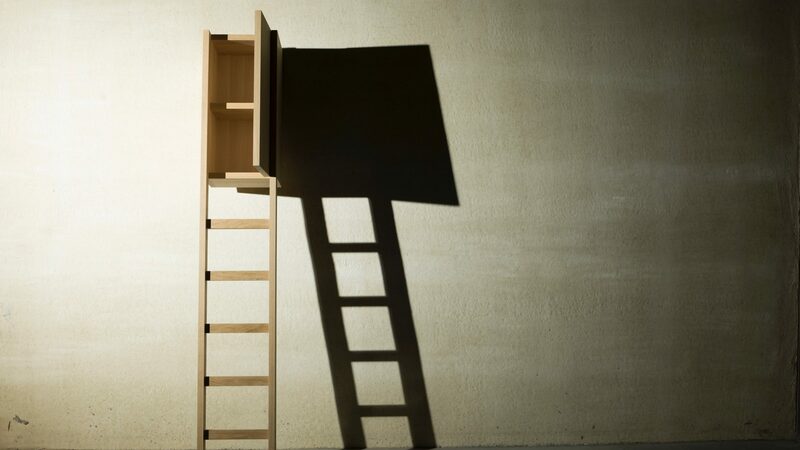 Ladder and steps don’t just function as a framework for the cupboard, but also serve as a set of steps to reach the storage case.